E M Buchanan's use of Scots is no affectation. She says of her family, "We all spoke broad Scots when I was young in Arbroath. I tried desperately hard to get rid of it; I wanted to be a lady." Now, she says, "I find I drift back into the Scottish voice." Her second poem, The Angus Hills, talks of "thir ribbit corduroy/o' broon ploo'd land, aa spriggit/wi' white birds." At this point in a poet's vocation, the resilience of the personality has a great say in whether artistic progress is made or not. In short, you either freeze or thaw. Everything experienced so far, everything written and read, decides that outcome. It is a learned process and the consequence is ultimately decisive and life-changing. It can precipitate artistic crisis: poetic careers can fall apart, the language becoming clinical or unraveled. Not so for [Jane] Draycott. Virginia Hamilton Adair referred to her poems as "a journal that I never kept", and the timing of its publication brought the poetry of an apparently lost age to new ears. One commentator snidely called the process "poetic cryogenics", and other readers were bemused by the spirituality that came across as contemporary with Emerson; but even sceptics had to concede that it was fine work of its kind. A poet is an alchemist, a poet is a shaman--he must re-invent himself tirelessly. Ostensibly, the raw materials of his alchemy are words--but there is more to it than this--for he deals in what lies behind the words; in mind and what lies beyond mind. He is a not merely a juggler of mere words, he is a conjurer of real magic, a locator, a namer, a metaphysician. How can poets deliver to society? In particular, how can they deliver joy, colour, excitement, passion? Alright, but how can poets reach us, touch us, move us? "Job Description" and "Listening to the Courtship Delirium of the Great Horned Owls," both relate how poetic labour and poetic thought are interrupted by disturbances that become, because of their temporary natures, more beautiful than what the poet intended originally to describe. In "Job Description," [Brendan] Galvin describes poetic labour as "being outside / a glass telephone booth / in a strange town, the door / jammed shut and the phone / ripped out." But, first, why turn a poet into a saint or, more specifically, "an agriculture saint"? This is because of the view that [Kenji] Miyazawa worked himself to death for the peasants in an area prone to famine. In one of his poems, he prays to be strong so he may help them while himself subsisting on meager food. To add to the poignancy, when he wrote it he was in the grip of resurgent tuberculosis. The poem made him into a national icon. [Henry Wadsworth Longfellow] is a man of deep sensibilities who sympathized with the dispossessed, who spoke out against slavery in 1843 before Emerson, and who recognized the dignity of native Americans, singing the beauty of their folklore in "Song of Hiawatha." [Charles] Calhoun shows that the epic "Evangeline" is "not a conventional idea of 19th-century patriarchy," but a more profound argument that "only a woman can set things to order [and] heal the wounds men have inflicted." Whitman, though, couldn't resist tampering with his own work, even after it was published. Six distinctly different versions of the book exist, Price said, and he hopes to post every page of all six in the archive. Traditionally, editors consider an author?s final edition to be the ultimate one, he said. With Whitman, though, he said he would stray from convention. "It's a grand occasion," says poet Stephen Dunn, a Pulitzer-winning former professor at Stockton State College, who is traveling from his home in Western Maryland to read at the festival. "There is nothing else quite like it. In a country where the population in general doesn't cotton much to poetry, people fill those tents by the thousands. It's an easy decision for a poet to make: attendance is mandatory and magical." Some 25,000 poetry fans from across the country (including nearly 5,000 high school students and their teachers) are expected to convene on the 120-acre "Great Lawn." A dozen tents, large and small, will be set up to allow for nearly 250 readings, discussions and related events -- rain or shine -- in what amounts to a Poetry-palooza unlike any other in the world. [Robert] Pinsky freely admits that some poetry is difficult, and that there have been times when, as a reader, he's had to give up on a poem. "Sometimes you just don't get it," he says. "They are a little bit like a landscape or a room or a house. Until you get into it, you don't have any feeling about it. Sometimes I feel sure I don't like a poem, and sometimes I'm wrong. And sometimes I feel it's probably good, but I'm just not feeling it, just not getting it. Maybe try another day." So go ahead, you have nothing to lose and a happier, healthier life to gain. o Play a particular album whenever you're working on a specific project. o Take a break in the middle of writing dialogue. Your subconscious will continue the conversation for you. o Write first thing in the morning, before your internal critic wakes up and begins carping. A lot of Canadian poetry does indeed traffic in superficial literary tourism. In [Adam] Getty’s case, however, his poems in the voices of Dostoevsky’s Svidrigailov and Shakespeare’s Alonso (a virtuoso blank verse monologue) demonstrate that, far from being stuck in the ultra-earnest-first-person-singular-free-verse-anecdote, this is a poet capable of a deep engagement not only with the everyday world of work, but with the work of literary giants, a poet capable of subsuming his own identity within that of a character. On the television show, [Leonard] Cohen told [Pierre] Berton that he has no "concerns." Berton sputtered in disbelief and outrage. "Well, come on now, what do you care about, really?" he demanded. "Don't you care about anything? How can you be a good poet and not care about something?" "No, I do the poetry, you do the commentary," Cohen replied. "No, but I ... let's get that straight. Are you saying that there's nothing that worries you, that there's nothing that bothers you? How can you write poetry if you're not bothered by something?" [Ezra] Pound's music was influenced in this regard by such sources as Sappho's poetry, Catullus, Provencal verse by northern Italian troubadours and the work of George Antheil, the enfant terrible of modernist composers. It is, said one critic, "of unsurpassing beauty and illuminates the practice of 'prosody'—the elusive craft of setting texts to music." Through his poem, Niti [Wattuya] speaks of the devastation caused by development and the desolation of rural-urban migration as past pleasures and values are forgotten. With the use of the metal layers, the despair over abandonment of the past and the reassessment of traditions is reinforced. Sacred gold leaf used in worship becomes a metaphor for greed and materialism, as the land is savaged for material and aesthetic gain. The visual impact of a painting can be immediate. We have it all before us: images, colour, forms, a stimulating eye-feast. At a glance we can see the tension in Degas' Little Dancer, the compelling energy of Van Gogh's brushstrokes, the conflicting emotions captured on a face. A poem, though, communicates in a more subliminal way, unfolding through the senses as you go along. Not until the end of the poem - sometimes even later - do we feel its resonance or have its meaning dawn on us. from Guardian Unlimited: If a painting could talk . . .
Kathleen Smith, a leading Maritime poet, has died at the age of 93. Ms. Smith, who lived in Saint John most of her life, died on the weekend. Virginia Hamilton Adair, a California poet who published her first collection, "Ants on the Melon,' when she was 83, died Thursday in Claremont, her daughter, Katharine Adair Waugh, said. She was 91 and lived in Claremont. Kong Youping was arrested in December 2003 for posting five articles and seven poems on a foreign website challenging the official version of the Beijing Spring and criticising corruption among political leaders. He had also called for the release of the young Internet-user Liu Di, who was released in November 2003. Perhaps more than anything, Shakespeare's sonnets call forth the most far-out efforts to link Shakespeare the man with Shakespeare the poet and playwright. [Stephen] Greenblatt goes so far as to refer to Shakespeare's patron, William Herbert, the Earl of Southampton, as Shakespeare's "possible lover," largely on the basis that Southampton is often designated to be the unnamed youth to whom some of the most passionate sonnets are addressed. Surely if Shakespeare and Southampton were lovers, somebody would have known about it and left some record. [Donald] Hall dates his friendship with [Cynthia] Huntington to the early '70s, when he was a professor at the University of Michigan and she was a student, though not his student. He did see and admire some of her early poems. Now he calls her "a sharp reader," and he sends her his poems for comment. This is standard procedure for Hall, who has exchanged drafts with [Robert] Bly for half a century and with [Wesley] McNair for perhaps half that time. Hall does not regularly share his work with [Maxine] Kumin, but he remembers sending her an early version of one of his best poems, "Names of Horses." As anyone familiar with her poetry and essays knows, Kumin is a horse lover. "There were strange and iridescent and impossible words that would seize the bait and swallow the hook and all but drag the excited angler in after them, but like that famous catch of Hiawatha's, they were generally not the fish he wanted. He wanted fish that were smooth and shining and subtle, and very much alive, and not too strange, and presently, after long patience and many rejections, they began to bite." Every serious writer has shared [Edwin Arlington] Robinson's experience. We fish for words -- and we constantly throw back the words we don't want. from The Charlotte Observer: Did he run, rush or race? His works appeal to the learned and the unlettered, to urban sophisticates and provincial first-time theatergoers. He makes his audiences laugh and cry; he turns politics into poetry; he recklessly mingles vulgar clowning and philosophical subtlety. He grasps with equal penetration the intimate lives of kings and of beggars; he seems at one moment to have studied law, at another theology, at another ancient history, while at the same time he effortlessly mimics the accents of country bumpkins and takes delight in old wives' tales. Virtually all his rivals in the highly competitive theater business found themselves on the straight road to starvation; this one playwright by contrast made enough money to buy one of the best houses in the hometown to which he retired when he was around 50, the self-made protagonist of an amazing success story that has resisted explanation for 400 years. There are other ways in which [Henry Wadsworth] Longfellow doesn't fit what has become a common image of poets. As [Charles C.] Calhoun observes, he was "so very nice a man. He did not sleep with his sister, grow addicted to opium, have to flee college because of his gambling debts, cruise the waterfront, sire an illegitimate child abroad, or drink himself into dementia. . . . His days in general were so placid, his livelihood so secure that . . . he came to be seen as a symbol of everything a writer should not be." "Service is the best-selling poet of the twentieth century. He has a huge following, but his war poetry is thoroughly overlooked," Professor [Ted] Cowan said. "He is one of the earliest poets to be published based on intimate knowledge of the war. "I think the poems in Rhymes of a Red Cross Man are the peak of his career. It is almost protest poetry -- and some early Sassoon is very reminiscent of Service -- and he ends it with the song of a pacifist. "It has been overlooked and that's because it is pretty black, pretty bleak, and there are another dozen or so poems that were just too bleak to publish in 1916. Service is not anthologised in any war poet collections -- I think he has been snubbed because he is popular." In the early days, his poetry was rapturously received for its wit and energy and also for its novelty value; it reported on a world not often visited by poetry. He wrote poems about being a vegan and in Bought and Sold, about black people selling out when they accepted OBEs, which is why he was so annoyed to be offered one; he deduced that the offer had nothing to do with an appreciation of his work, and everything to do with his demographic. "Well respected in the black community, quite well respected in the white community, he's done a bit of work for the BBC, he's worked for the British Council. He must have mellowed down a bit now, over 40. And they want more black people, so it's kind of cool to have Benjamin Zephaniah." 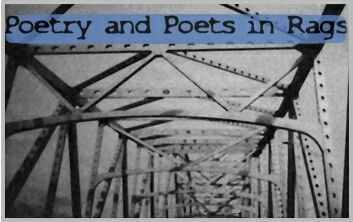 Poets are certainly the acknowledged writers of "the simple annals of the poor." And many declare themselves the defenders of the condemned, the downtrodden and the abandoned. But are they, as they sometimes assert, the only ones capable of discerning flowers born to blush unseen? And are they that curious minority of the adult world incapable of finding and holding a job? Most poets do not build buildings, bake bread or navigate the high seas. But they do labor relentlessly, and the results, however modest in weight and perishable in perceived merit, tell us much about who we are as a community, how we strive, and why we injure each other. The collection begins with a section about Mount St. Helens, introduced by [Gary] Snyder's first climb there as a 15-year-old on Aug. 13, 1945. "The very next day, I found out the atomic bomb was dropped on Hiroshima and that nothing would grow for 70 years. That appalled me," Snyder wrote in the book. At that moment, Snyder said, he immediately vowed "by the purity and beauty and permanence of Mt. St. Helens (to) fight against this cruel destructive power and those who would seek to use it, for all my life." In March 1927, when [Oliverio] Girondo was refusing to have anything to do with [Norah] Lange, [Jorge Luis] Borges had proposed marriage to her, but it seemed that the more Girondo made the girl suffer, all the more did she understand that she could not love Borges. In April she repudiated Borges's love with unexpected cruelty, publishing in Martin Fierro a review of his first two poetry collections, Fervor de Buenos Aires and Moon Across the Way, under the enigmatic title "Thinking of Jorge Luis Borges in Something That Does Not Quite Manage to Be a Poem". With a few well-placed qualifications, she distanced herself from the poetry of the man whom she had been happy to acknowledge as her mentor for the past three years. Take the poem "Smoke": the piece is a description of the domestic ritual of his father lighting an old stove: "My father kept a stove / with dogs legs / on a pink hearthstone". From the start it evokes [Seamus] Heaney's "Follower": "My father worked with a horse-plough / His shoulders globed like a full sail..." Both pieces are about the process of articulating and trying to break free from influence and both pieces end by drawing out the symbolic implications of their descriptions. Heaney, perhaps rather melodramatically, transforms the father from the followed to the follower; [Jacob] Polley attempts something more complex and ambitious. The image of a bird burnt in the flue of the stove becomes a metaphor for the young poet waiting to be born. [Karen] Fischer and [Robert] McCracken read several hundred of her poems, which the Denver Public Library archived, and chose 35 that represented her style in an anthology they published this year titled "Belle Turnbull: Voice of the Mountains." "I was astonished when I started going through the archives because here was all this wonderful poetry," McCracken said. "She had fallen off the radar screen, but I can honestly say I was profoundly touched, and I believe that in some of her works, she was as good as Shakespeare." Derrick McClure, of Aberdeen University, has produced a conference paper investigating the accuracy of Japanese translations of Robert Burns by translating them into English. The immortal lines from 'To a Haggis' - "Fair fa your honest sonsie face, Great chieftain o' the puddin race" - have emerged as "Good luck to your honest friendly face, Great King of the sausages". These good people may not realize it, but they are savoring our summer guest as well as helping him find the door. In every length of firewood that is stacked, in every stroke of new paint, in every pumpkin cared for with paternal tenderness, they are making a statement. Old Friend. So long. So long." The poet Mourid Barghouti, after 30 years, finally succeeded in obtaining a permit to visit Ramallah, his home town, for two weeks in 1997. That journey became I Saw Ramallah (2000). "The problem with writing what is outside yourself," he says, "writing as part of a collective, is that this will not produce literature unless it has truly become part of yourself - it is no longer 'outside'. It becomes part of your inner structure. There is no point in setting down events, anecdotes. But do events pass over us like mercury on paper? The moment of contact between the event and your soul, that's where literature is born." For Hamid Moktar, a novelist who wasted years in a Saddam Hussein prison, and exiled poet Khazal al-Majidi who returned full of hope with the Americans, life in the new Iraq has been a disappointment. "Free speech still doesn't exist in Iraq. I can write what I like about the government, but if I criticize certain political parties or religion, I risk getting killed," says Majidi, a dramatist and essayist as well as poet. The lack of translators is lamented by all experts. "The translator has to master both languages, and especially the target language, which had better be his mother tongue. And this is where we rarely find good translators," Assaad Khairallah, a professor for Middle East languages at the American University of Beirut, who has taught many years at Freiburg University in Germany. He stresses that the problem is "not due to a basic difference of mentality and worldviews, as say with Japanese or Chinese, for between us and the West there in no such great difference in this respect. All we need is to make translations financially and professionally attractive." from The Daily Star: Is Arab literature being lost in translation? Donald M. Allen, a poetry editor who celebrated the Beat writers, edited Jack Kerouac and published an acclaimed anthology of American poetry, died Aug. 29 in San Francisco after suffering from pneumonia. He was 92. To answer Williams's challenge, "What We Want of It," makes use of a number of biblical allusions: The gazelles in the first line leap out from the Song of Songs, while in the last line Jacob's ladder of dream revelation is set up in a suburban backyard. These references aren't accidental. The "news" Williams refers to is the revelation that poetry still carries even into our secular age: The poem, Leffler suggests, can guide us through the desolation of mere material life, as the pillar and cloud guided the Children of Israel in the desert. Here was an intimate language of a specific area, in a form that was internationally sophisticated. Earlier publication of these poems in a Glasgow University magazine had been thwarted by a printer who refused to reproduce "bad language". Instead, [Tom] Leonard reproduced them on single sheets of paper which he inserted into the magazine. "I don't write patois or standard English," he says. "You can use these terms if you're talking about informational language. I don't write informational language. I write poetry. And poetry is written in the language of art. That language is universal. It's got nothing to do with how many people speak with a Glasgow accent or whatever." I have much to learn of patience. they will make a path into morning. This last line is clearly spoken by the calm, accepting [Gary] Snyder, who wins a momentary victory, convincing his other half that to pass a negative judgment would be to allow oneself to be "tricked by human-centered views." On the other hand, there's no debating that many people find poetry difficult because they're unaccustomed to reading it. As Randall Jarrell once said, "If we were in the habit of reading poets their obscurity would not matter; and, once we are out of the habit, their clarity does not help." A few days before he died I [Seamus Heaney] had a letter from Robert Pinsky, telling of a visit last month to the hospital where Czeslaw [Milosz] was a patient. "How are you?" Robert asked. "Conscious," was the reply. "My head is full of absurd bric-a-brac." It was the first time I had ever detected a daunted note in any of his utterances. A couple of years earlier, for example, a similar inquiry from Robert Hass had elicited the reply "I survive by incantation"--which was more like him. His life and works were founded upon faith in "A word wakened by lips that perish."